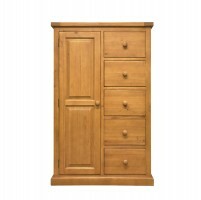 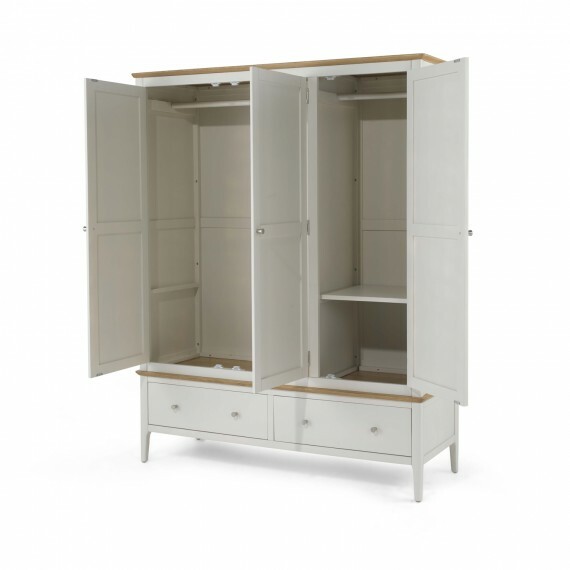 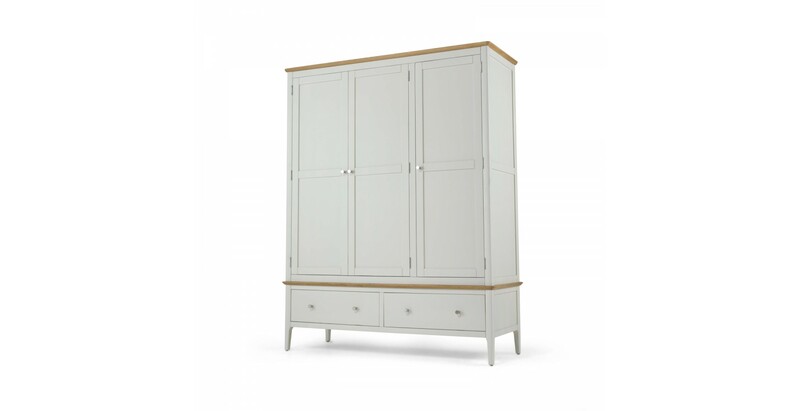 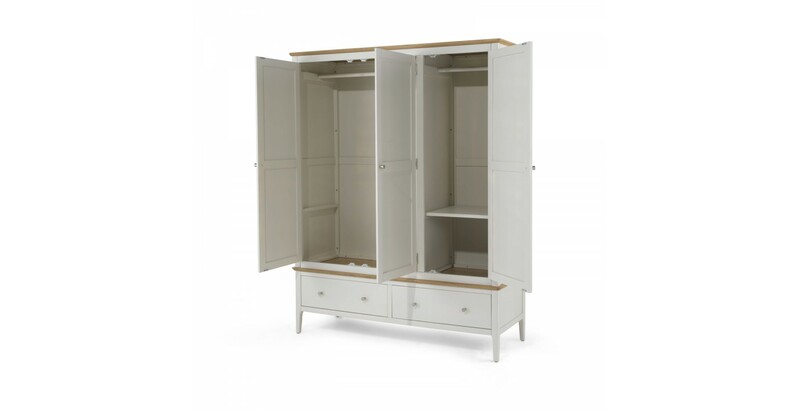 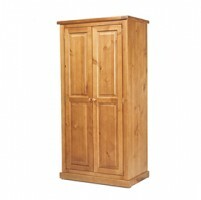 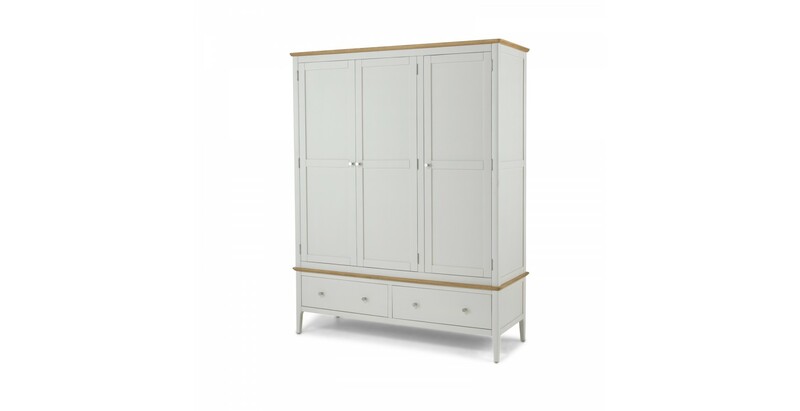 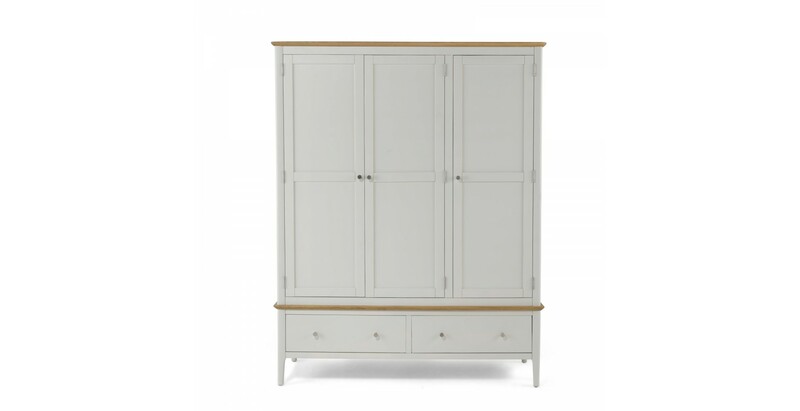 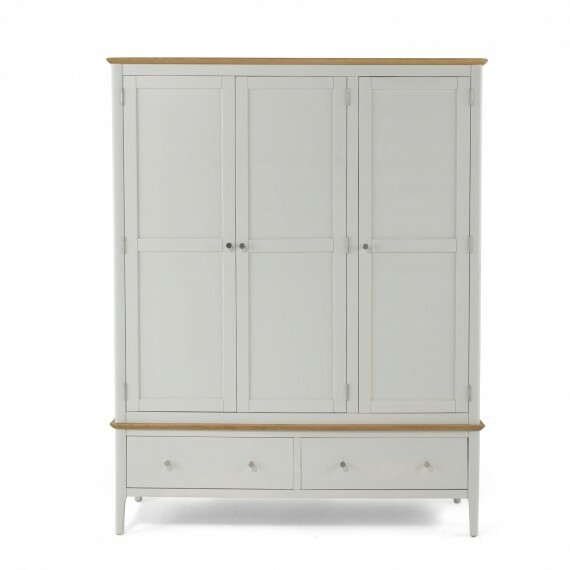 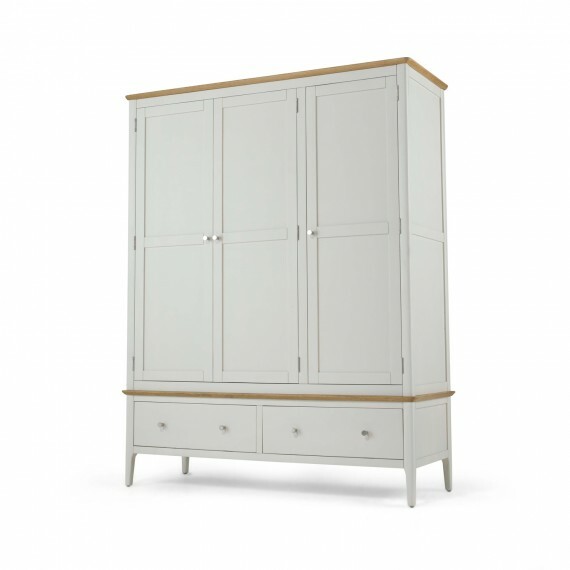 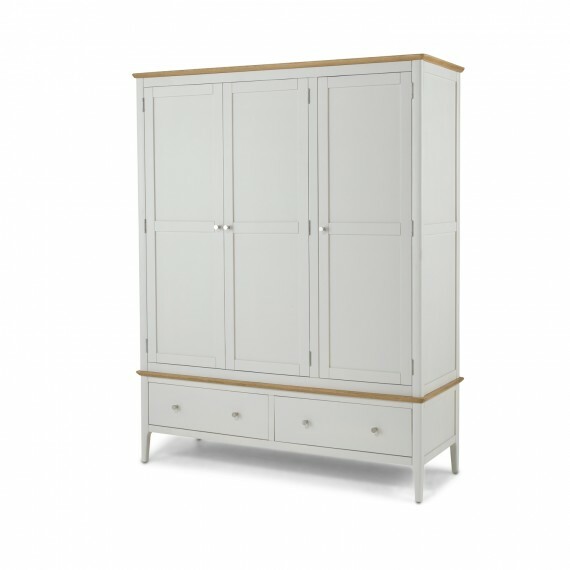 Thanks to its simple, Shaker-influenced design and calming grey paint finish, despite its size, this large wardrobe will blend beautifully into your bedroom without appearing overly dominant. 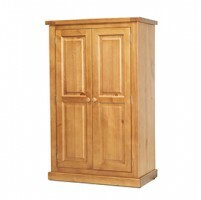 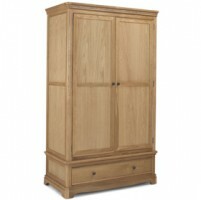 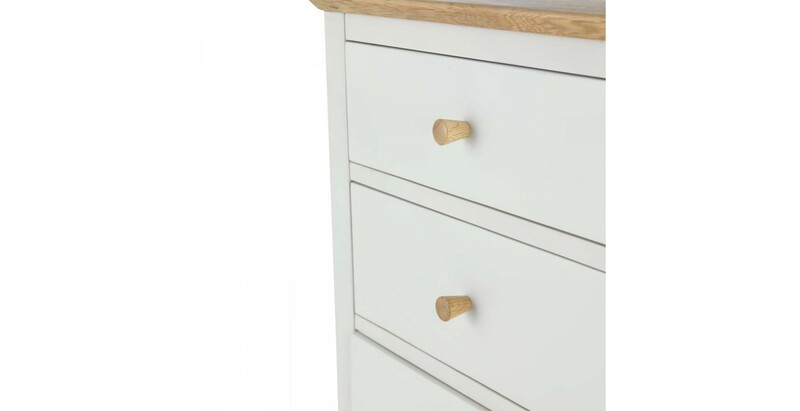 With its clean lines moderated with curved edges and rounded corners on the waxed oak top, it stands firm on its elegantly tapered legs and offers generous hanging and shelf space behind the three doors to ensure you stay organised. 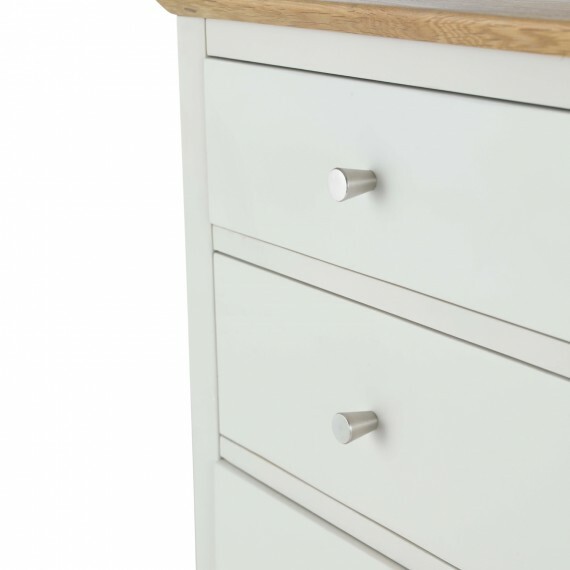 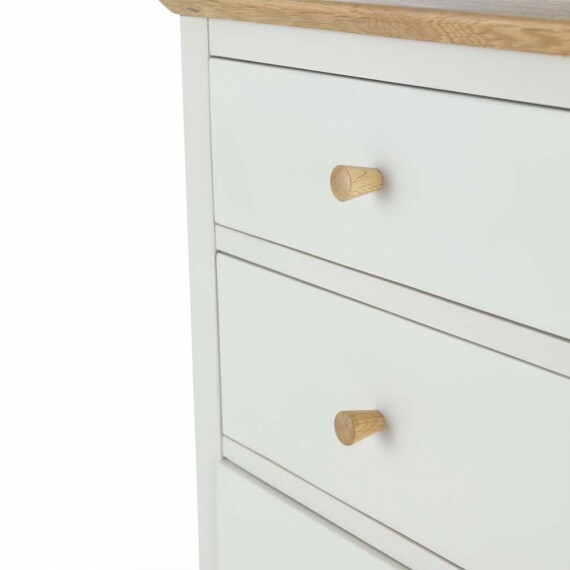 Two spacious drawers at the bottom will keep bulkier clothes tidy, and so you can add your own modest finishing touch, it comes with both metal and wooden door and drawer handles.